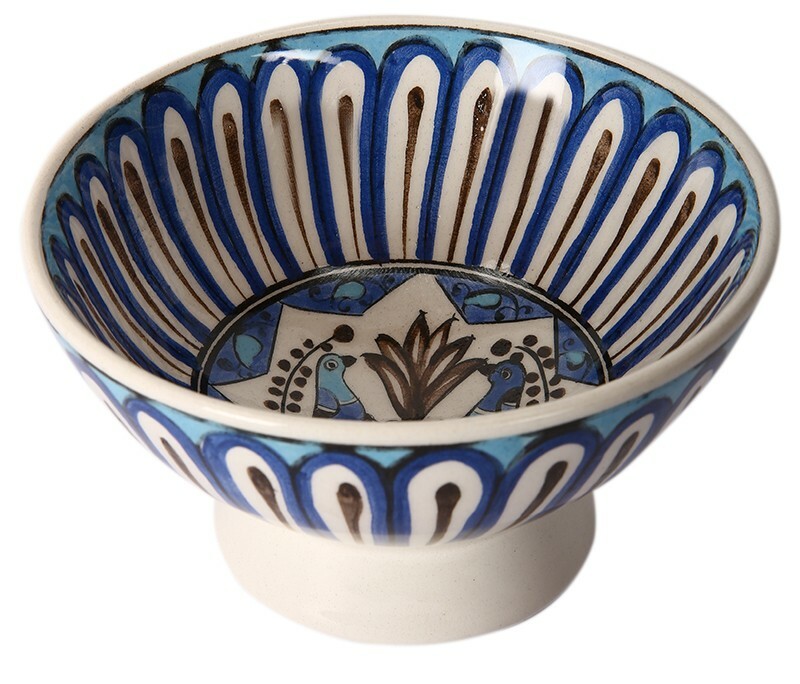 The bird patterns seen on the Seljuk bird pattern ceramic bowl belong to the Seljuk period and are found within the tiles of the walls of Kubudabat Palace located near Kayseri. 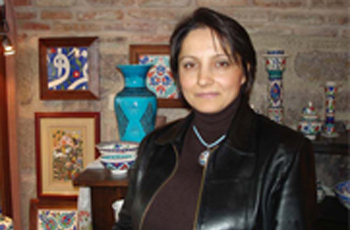 Today, these tiles are being exhibited in Konya Karatay Museum. 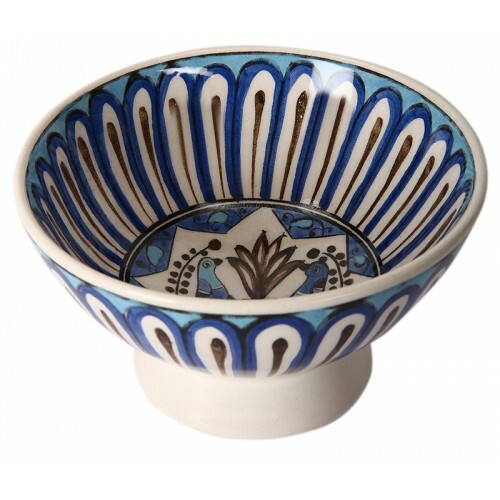 The early period Ottoman patterns seen on the interior and exterior surfaces of the bowl were modernized, designed and hand-made by the artist Zeynep Tişkaya. The bowl was lathed in one piece. It is a one piece product and may be produced upon request. Material: the product was made of ceramics and is ideal for eating-drinking. Hand-wash recommended. Dimensions: Height 7, diameter 12.5 cm.